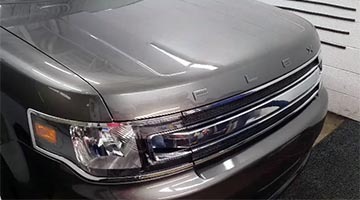 SunTek Paint Protection Film provides a protective layer for your paint's surface against rock chips, road debris, bugs and other daily wear & tear that can decrease the value of your car, truck or SUV. 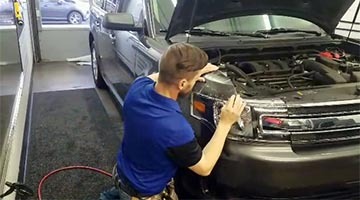 The difference between a vehcile in fair condition and good condition can cost cost you thousands of dollars in trade-in value (an average of $2,500). 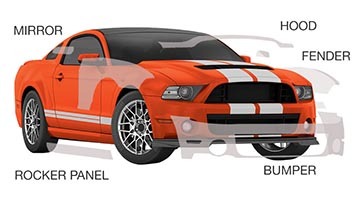 Protect your investment without adding a black bra that may or may not look good on your car. SunTek PPF is barely visible and keeps it looking shiny and new.